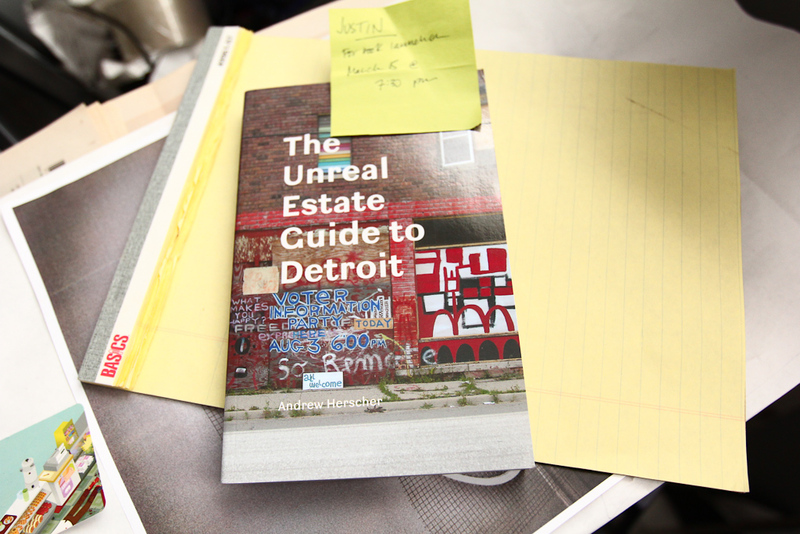 Please join us for the Canadian book launch of Andrew Herscher’s Unreal Estate Guide to Detroit at Broken City Lab’s Civic Space. Rather than seeing Detroit as an urban problem that needs to be solved, Andrew Herscher suggests that we regard Detroit as a “novel urban formation” and a site “where new ways of imagining, inhabiting, and constructing the contemporary city are being invented, tested, and advanced.” Andrew Herscher is a writer and theorist whose work considers architectural and urban forms of political violence; his research has focused on locations as seemingly disparate as the Former Yugoslavia and more recently, Detroit. He teaches at the University of Michigan where he is cross appointed between the School of Architecture and Slavic Languages and Literatures. Between 2005 – 2009 he chaired the Rackham Interdisciplinary Seminar on Human Rights. A discussion between Andrew Herscher, Grant Yocom (Lecturer in Philosophy, Oakland University) and Justin Langlois (Director, Broken City Lab) will take place on critical responses to urban crisis in this region and others. This event is organized by Lee Rodney of the Windsor-Detroit Border Bookmobile and co-hosted by IN/TERMINUS: Media, Art, and Urban Ecologies.